He said that the Government intends to spend Rs 1,750 crore towards the second phase of the “e-courts mission” that, among other things, will include setting up a national judicial data grid, and completing computerization of courts. The UPA Government had spent about Rs. 3, 000 crore under the first phase, contributing to the computerization of ninety percent of the courts in the country. Appreciating the grid that was started only last week, Mr. Gowda said, “Now each client, each judge and everybody can see how many cases are there (in a particular court), which are the cases posted, when they will come up for hearing... everything is available… We want to see the project go ahead. E-filing (petitions) has already been taken up. Delay will be reduced.” You may read more about the National Judicial Data Grid here. Mr. Gowda further divulged that a Bill for changing the names of the High Courts of Bombay and Madras will be introduced in the winter session of the Parliament. The Bill will lead to immediate change in the name of the Bombay High Court to Mumbai High Court and Madras High Court to Chennai High Court. It will also prescribe a procedure for future requests for change. Only a notification would suffice, in case the State Government requested a name change. Changes to be introduced in the Arbitration and Conciliation Act, 1996 were also confirmed by Gowda. He further confirmed that the Centre had granted permission to Attorney General Mukul Rohatgi to represent the private bar owners’ lobby against Kerala Government. Eminent Jurist H.M. Seervai had spearheaded the demand for recording of Court proceedings to reign in a "much talking" judge and a counsel who thrived on lies. “The recollections of judges may differ, or if the case has gone for a long time, judges may have no recollection,” he said, while stressing on the advantage. Subsequent demands for coverage were however rejected by most courts in the country. Back in 2008, a bench headed by the then Chief Justice K.G. 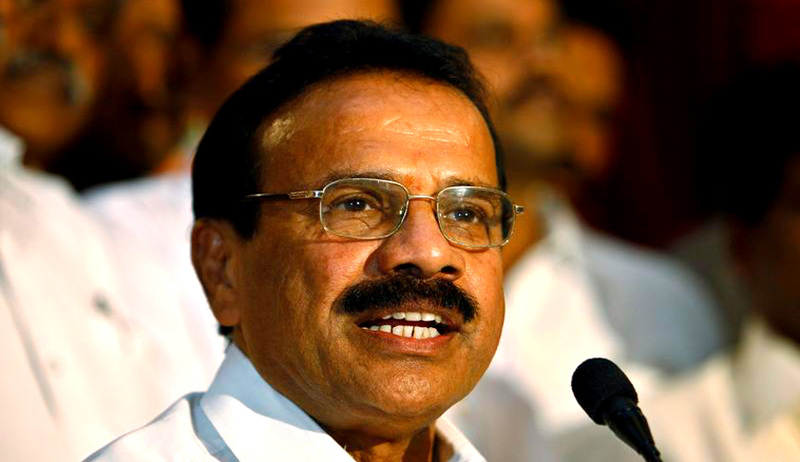 Balakrishnan had refused to interfere with a High Court order dismissing such a demand. “What happened in the OJ Simpson case? A debate is still going on,” a Judge on the bench had remarked, referring to sensationalization following telecast of the trial in the US. “If Parliament can allow recording of proceedings, why not courts?” Petitioner's counsel Prashant Bhushan had asked. The court, however, was not convinced. The proposal for audio-video recording of court proceedings was mooted by the Union Government during the advisory council meeting of the Law ministry held in August 2014 which was attended by the then Union law minister Ravi Shankar Prasad, law commission chairman Justice (retd.) A.P. Shah and representative of the apex court’s e-committee besides top officials of the law ministry. The government had proposed to initiate audio-video recording of all court proceedings in all the subordinate courts to start with and then in all the High Courts and the Apex Court. The proposal was however rejected in November by the Apex Court’s e-committee. You may read the LiveLaw story here. Justice Shah, former Chief Justice of Delhi High Court, had again in July this year, brought up the issue in the meeting of the Advisory Council of the National Mission for Justice Delivery and Legal Reforms which was chaired by Union Law minister Sadananda Gowda. Justice Shah firmly believed there was no reason for opposing such a proposal as it would only help in bringing more accountability to the judiciary. “A proposal may be considered to undertake audio-video recording on a pilot basis in some district courts because such a step can enhance transparency in the justice system,” he is reported to have said at the meeting. You may read the LiveLaw story here. The Supreme Court has been out of bounds for audio video recording of proceedings. In January this year, a Bench headed by Chief Justice H.L. Dattu had dismissed a PIL which asked for installation of cameras inside the court halls of the top court. However, in July this year, Calcutta High Court broke the trend and recorded Court Room proceedings, on continuous requests by Advocate Deepak Khosla so that there is incontrovertible evidence of conduct of the counsel on the other side. The proceedings on July 15 were recorded for nearly 45 minutes. Justice Aniruddha Bose however clarified that the proceedings would not form part of the official records of the Court and that they would be for the purpose of assistance of the Court. This was in view of the fact that neither the Supreme Court, nor any High Court had framed any rule for such recording. You may read the LiveLaw story here. Madras High Court had also recently allowed for live telecast of court proceedings for the first time when contempt of court proceedings against two Madurai-based Bar leaders were taken up in connection with the anti-helmet rally taken out by lawyers in the city last month. You may read the LiveLaw story here. With the two High Courts allowing the recording and the legislature mulling over the same, the idea of open justice propagated by the civil society and litigants, seems to be on its way to turn into a reality soon.